I stepped off the stage to the sound of laughter and cheers. 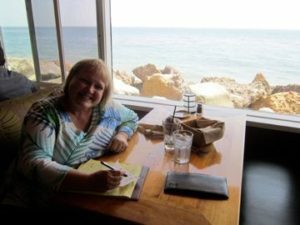 Instead of a conference room full of nurses, the setting was a club in West Hollywood and the man following me was a talent agent. 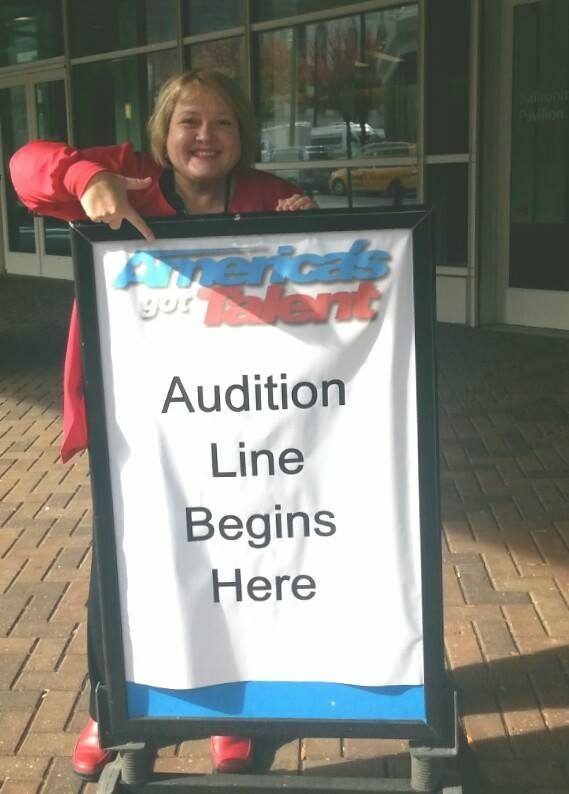 Had I just agreed to audition for America’s Got Talent (AGT)? Was my mind playing tricks or had I lost my mind altogether? 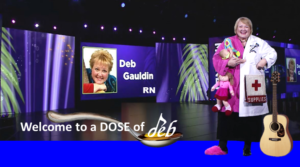 Isn’t a guitar-playing, singing nurse humorist a little odd? Clearly I’d never seen the popular television show. As I stood among hundreds of fellow AGT hopefuls snaking for blocks around the Richmond Virginia Convention Center, “odd” was re-defined. Line-mates included a flamenco dancer, an intense cowboy pacing back and forth in pointy, purple, lizard-looking boots, and a man who could best be described as an accident waiting to happen. I am not kidding. Less than a block behind was an elderly black man. He was slightly bent at the waist and wore a broad smile. Tossed over his shoulder, were a pair of well-worn roller skates. At his side was a young man carrying his grandfather’s inhaler in one hand and a 7-foot ladder in the other. Just as I began morphing into my public-health-and-safety nurse persona (think Bruce Banner), my number was called. I considered trying to blend in with an inner city step dance team or running to my car. Instead, a small group of us were ushered before a “Pre-Heidi/Howie” judge whose personality and sense of humor appeared to be tightly coiled into the bun atop her Gen-X head. No affect. No eye contact. No problem. I’d worked with plenty of physicians. We were told to stand on the “X” taped to the floor and to cut whatever material we had prepared from 90 seconds to a mere 45. I estimated that it would take most of that time to stop my knees from knocking. It turns out the audition was really fun. The judge actually laughed. This would have been an excellent sign had I been in the right room! I thought I was auditioning as a nurse comedian – a strolling “menstrual-singer” with a killer bladder-control song. But alas, I was billed as a singer, singer. You know, Whitney Houston, Carrie Underwood, P. Diddy. After a several month wait, I learned I had not been selected. With a mix of disappointment and relief, I cancelled my Botox appointments and returned the Gina Lollobrigida head scarves and tinted glasses.The talent agent would like me to give it another go. We’ll see. I’m too old (and other things) to sleep my way to the top and I don’t roller skate, but I will work on a new ditty about pee and keep you posted!